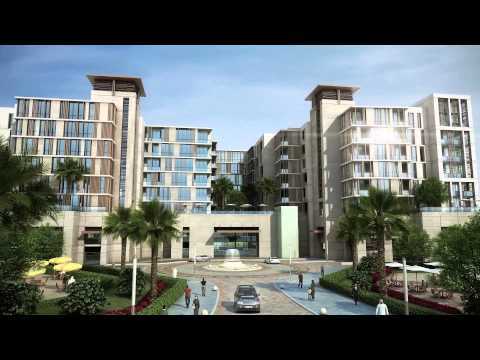 Dubai Wharf by Dubai Properties is a center point of Al Jaddaf Waterfront. It is located at the paramount location on the Dubai Creek. Dubai Wharf is a blend of residential, commercial and cultural communities. It offers studio flats and 1, 2, and 3 bedroom apartments residences with cleverly combining the fashionable interior with contemporary architecture feature to live the waterfront life at its best. This real estate project features 4 towers with 582 residential segments including 147 one BR, 276 two BR, and 68 three BR apartments and 91 studio flats situated in the 2nd to 8th floors. Dubai Wharf also contains 150 eating, entertainment, and retail segments on the ground floor and 1st floor.